Centralia, WA. – November 2, 2011 – On Friday, November 25, all stores at the Centralia Outlets will open at 12:00 am, right after Thanksgiving ends, with major discounts. There is no need to wait for early morning bargains, when you can start shopping at midnight! This gives new meaning to the phrase “Early Bird Special”. If you are a night owl, this is your time to shop! Stores will remain open until 8:00 pm on Friday evening. Stores reopen again at 8:00 am on Saturday, Nov. 26th. “Midnight Madness” is a festive event, which brings out the fun in shopping. Last year some customers shopped in pajamas & slippers, extended families trekked through the night finding bargains, and many completed their entire holiday shopping by daybreak. Starting November 23, a list of Midnight Madness doorbusters will be found on the mall website, www.centraliaoutlets.com. The Centralia Outlets currently boasts over 30 outlet tenants, including national brands Polo Ralph Lauren Factory Store, Coach Factory, Nike Clearance Store, Eddie Bauer Outlet, Bath and Body Works Outlet, Aéropostale, Van Heusen, Vitamin World, L’eggs Hanes Bali Playtex, Easy Spirit and Bass, among others. Stores that opened this past year include Christopher and Banks, The Children’s Place and Wilsons Leather. Don’t forget to shop for toys this year at Toys R Us Express. The merchandise represented at the mall includes everything from kitchenware and shoes to outerwear and toys. The outlet center is located on Interstate 5 at Exit 82 in Centralia, WA. The holiday hours of operation are 9 – 8 p.m. Monday – Saturday and 10 – 8 p.m. Sunday. 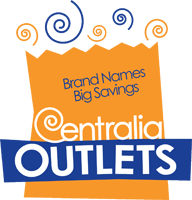 For more information call (360) 736-3900 or visit www.centraliaoutlets.com and follow us on facebook and twitter.